Following its critically acclaimed premiere at the Cannes Film Festival, the first trailer for Justin Kurzel’s (Snowtown) intense adaption of William Shakespeare’s Macbeth has come our way, and it is nothing short of beautiful, with Kurzel marrying some striking visuals with the Bard’s famous dialogue. 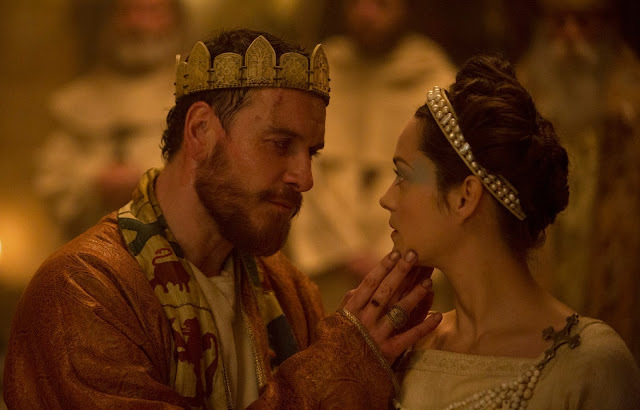 Michael Fassbender cuts an imposing figure as the the playwright’s darkest and most compelling characters, driven by ambition to take the throne of Scotland by force only to be brought to the edge of madness by guilt and paranoia, and with able support coming from Marion Cotillard as the manipulative Lady MacBeth. This really seems like a two hander, and they couldn’t have gotten a better leading pair to play off each other. If you weren’t excited before, the Scottish Film should definitely be on your radar after this.